THE GREATEST HEROES OF THE REPUBLIC, THE DEADLIEST VILLAINS - AND EVERYONE IN BETWEEN! Four creative teams! 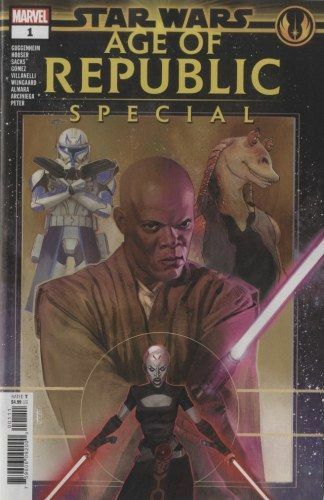 Four stories featuring your favorite Star Wars characters!